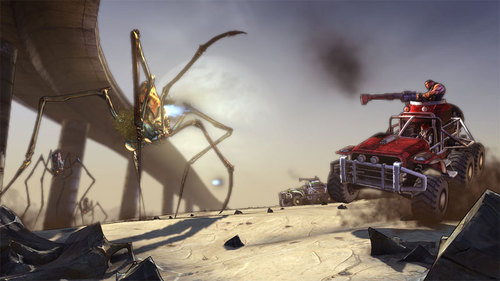 The next Borderlands DLC has been unveiled courtesy of Destructoid. Called The Secret Armory of General Knoxx, the content claims to have a "huge new environment" as well as plenty of experience to be earned by your level 34 to 50 character. We also know it will bump up the level cap, we just don't know how much. The content is set to hit the Xbox 360, PlayStation 3 and PC sometime this year. 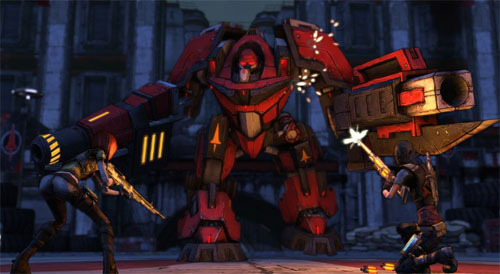 We can't wait to take down that giant mech with three of our co-op partners! Update: Gearbox has a few other screens and info. It looks like there will be new enemies and challenges as well! Page created in 0.3503 seconds.